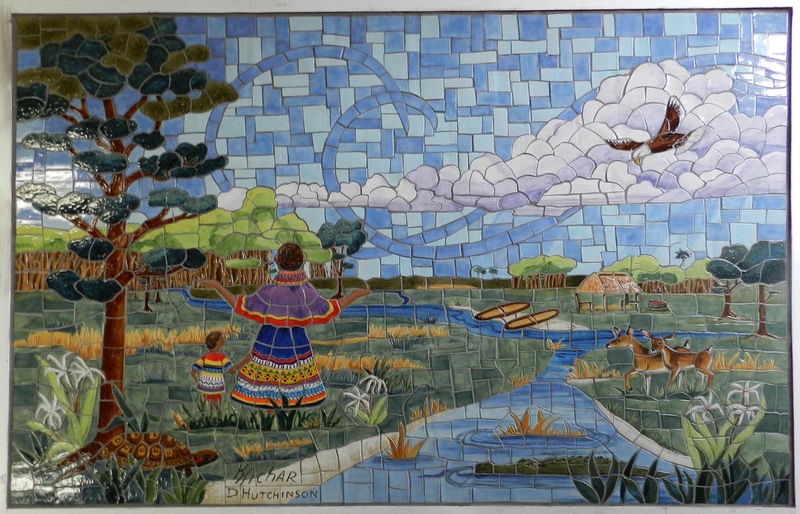 This week, 10/3 to 10/14, we set and grouted the Seminole Indian tile mural for the Marshal Bridge project. This will be installed sometime in November (we hope). All the murals are coming out great. 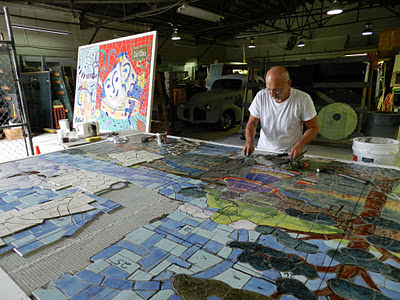 Here is Kevin setting some of the tile sections. You can see the Performing Arts mural in the background. Here I am removing the contact paper that is protecting the tile pieces during setting. 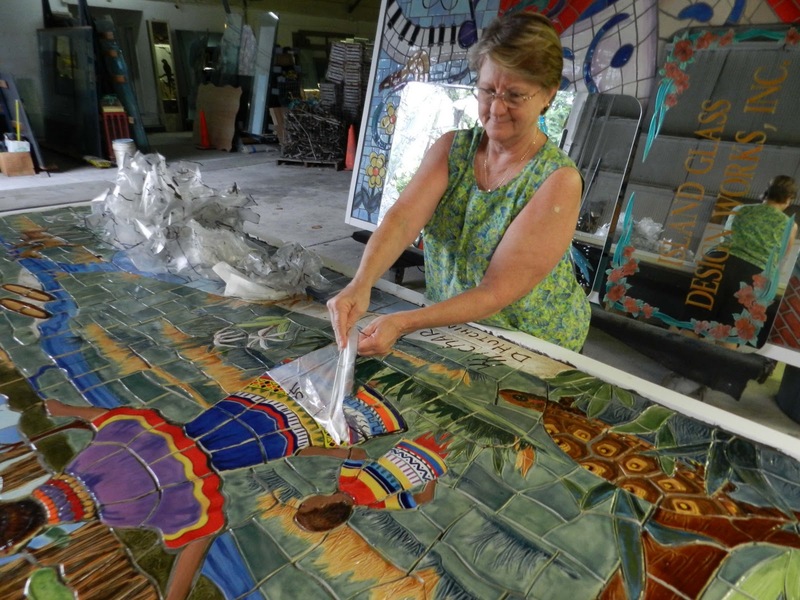 Grouting comes next. 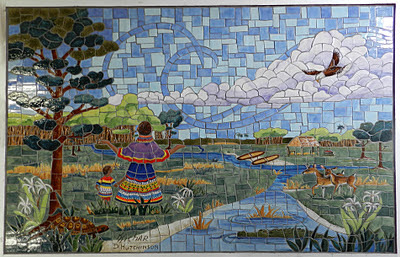 Here is the finished tile mural. Please contact me if you would like a larger image. I will be happy to send you one.